Dr. Derbala is an OBGYN physician (Board eligible), fellowship trained in reproductive immunology. He was born in Cairo, Egypt where he received his medical degree from Cairo University School of Medicine and pursued a career in OBGYN soon after his graduation. Dr. Derbala had a great opportunity to complete a NIH research fellowship at Perinatology Research Branch of the Eunice Kennedy Shriver National Institute of Child Health and Human Development (NICHD) where he worked on many research projects studying pregnancy related complications such as preterm labor, preeclampsia, fetal growth restriction and many other conditions. Reproductive immunology was his main research interest. 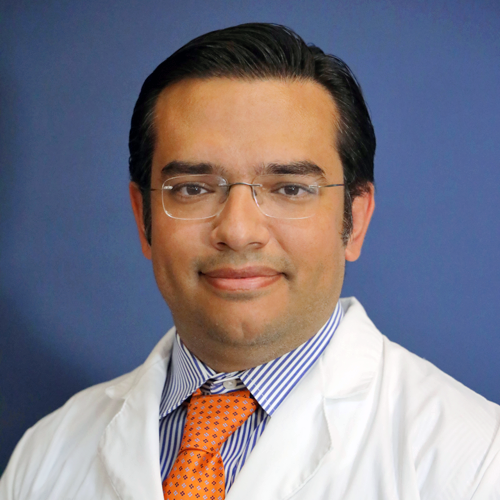 After graduating from an OBGYN residency program at Wayne State University, he decided to specialize in reproductive immunology and completed a 2 years fellowship in reproductive immunology at Rosalind Franklin University of medicine and science. During his fellowship, he gained a great experience in treating patients with reproductive failure such as repeated miscarriages, multiple IVF failures, infertility of unknown cause, autoimmune premature ovarian failure and many autoimmune conditions in pregnancy.